SARAH’S TOP WRITING TIP: Read! Reading is how you learn how to write. You’ll pick up where others get it right and wrong, you’ll feel inspired to create your own work, and you just feel like your path to work isn’t very ‘worky’. Sarah Ayoub is an author and freelance journalist based in Sydney, Australia. Following the debut of her first YA novel, Hate Is Such a Strong Word, she has taught journalism at the University of Notre Dame and spoken at numerous industry events with the Emerging Writers’ Festival, NSW Writers’ Centre, The Walkley Foundation, Vibewire and more. I write because I can’t help it. Writing is a compulsion – it’s my way of making sense of my thoughts, my feelings and my opinion. Writing is how I make sense of the world. It was never something I set out to do. I’d always wanted to be a journalist (since I was 10 – inspired by Lois Lane) but at school I hated creative writing. These days I think it’s because there were so many rules. Becoming an author was a whole other matter: a character waltzed into my head one day – all whiney and emotional – and I felt like I had to share her story. After that, I was hooked. Writing fiction is a free-flow of ideas that indulge my sense of wonder and wanderlust. I love talking about travelling and holidays, so maybe a travel agent! Or a historian. Or I would love a job where I can indulge my love of all things French or the icons of style – like PR for a French brand. Chanel definitely comes to mind – I know so much about her. Thankfully, I didn’t have any real obstacles. I know I’m incredibly lucky for this so I really do try to take the time to answer the questions of emerging writers, to make their journey easier too. I picked up an agent straight away and that made getting a publisher fairly easy. In fact, I probably jeopardised my writing career (as I still do) by my lack of discipline and constant procrastination. Creating new people to love, and new stories to get engrossed in. Passing time doing something creative that indulges your imagination. Working your brain into over drive, and those light bulb moments that make you stop what you’re doing to write something down. Even as an author I sometimes get excited writing a particular scene. I suppose it’s that but also the excitement of seeing others appreciate what you have poured your heart and soul into. For me, it’s my complete lack of discipline. I have so many ideas I can’t wait to turn into novels, but I just self-sabotage by wasting time online, or cleaning my closet (over and over again) or picking at my bad skin. And the bad reviews of course – from people that don’t offer any constructive criticism but just say things like ‘bad writing’. Join a writer’s group. I’ve noticed that authors who join them have a support network I don’t really have. No one reads my books before they go to print – unless they’re my agent or publisher. I’ve noticed writer’s groups talk through plot points, getting stuck, stale ideas etc and I think that’s lovely. A long time ago, I joined Gabrielle Tozer’s writing group, and it was so fun. But that was because we never really spoke about writing or did any work. We just went to the pub and needless to say, Gabby disbanded the group after a while and voila – after that, we all got some work done! I wish I learnt more about foreign rights and selling books overseas. I’m so scared of putting myself out there sometimes that I didn’t pursue this part of writing with my first book. 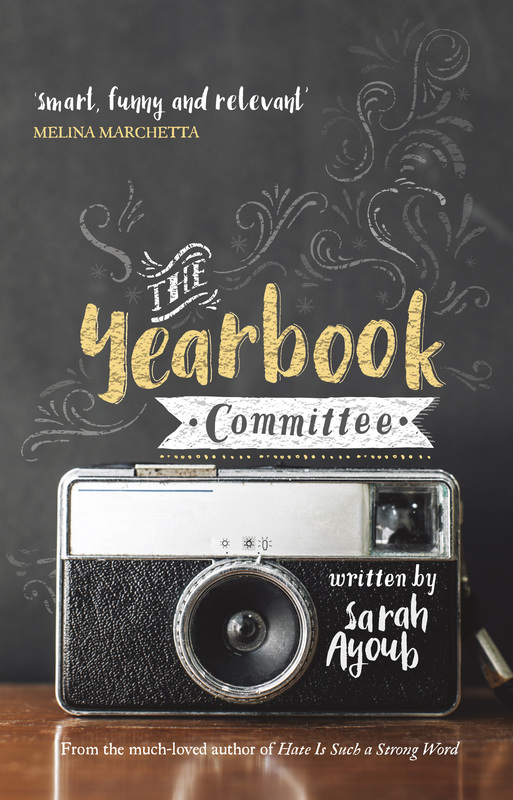 I am going to try it out with The Yearbook Committee and see how I go, but I still plan on asking my author friends who have been published overseas to share their insights. I have a tendency to stress about things, and things that are out of my control. Being told not to sweat, or that it’ll be ok, is always a good thing to hear. Things usually work themselves out. The loner: At school, nobody really notices Matty. But at home, Matty is everything. He’s been singlehandedly holding things together since his mum’s breakdown, and he’s never felt so alone. TESS’S TOP WRITING TIP: Always read your work aloud first before sending it away. It saves a lot of time later editing! And don’t be discouraged by rejection letters. JK Rowling was rejected by numerous publishers with her Harry Potter manuscript. Look where she is now. Tess McLennan is a musician and instrumental music teacher who lives in a quaint country town south of Brisbane, Queensland. She is an avid reader and experienced traveller, and enjoys musical theatre and vintage artefacts. 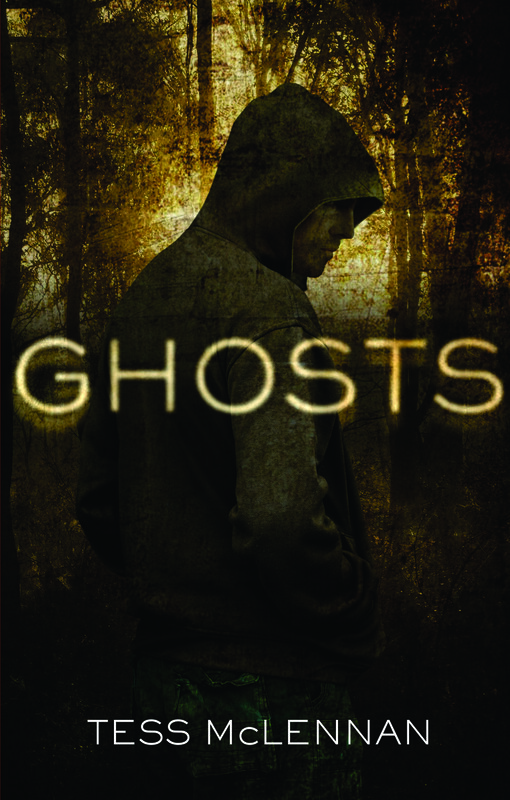 She has been writing since a young age, and Ghosts is her first novel. Keep up to date with Tess’s writing life on Facebook. Why do you write? Many reasons! Writing has always been like a therapy for me. I’ve written journals, stories and poetry since I was very young. I write when I’m happy, sad, overwhelmed, excited… Putting words on a page always de-clutters my overactive mind, and creating intricate characters and storylines has always been thrilling for me. You get to create a person exactly how you want, and decide what happens to them. It’s your own little world, and you’re in complete control of it. What would you be doing if you weren’t a writer? I love musicals, and one day I would love to pursue a career onstage. Becoming a writer is just one of my many ambitions, so who knows… you might see me on Broadway next. What was your toughest obstacle to becoming published? Finding a publisher who believed in my story. What’s the best aspect of your writing life? The creativity. There is absolutely no limit. It’s such a fantastic outlet for me. —the worst? Sometimes I overthink my work way too much, and wonder if it’ll ever be good enough for an audience. What would you do differently if you were starting out now as a writer? I wouldn’t rush. I would take more care with the presentation of my work before sending it away to potential publishers. The publishing houses are not going to disappear if you wait a few more weeks and continue to perfect your manuscript. What do you wish you’d been told before you set out to become an author? Not everyone is going to love your work, and that’s okay! Also, a lot more goes into a publishing a book than just putting it on a shelf. What’s the best advice you were ever given? Finish what you start, never ever give up, and hard work will get you everywhere. After the mysterious disappearance of her mother Marella, Imogene is left as the sole carer of her younger sister, Clementine. Forced to give up her dreams of becoming a photographer, Imogene vows to support her sister’s ambitions of becoming a professional dancer, taking a menial job at Johnny’s Mega Market in the girls’ hometown of Miller Creek. Discontented and unfulfilled, Imogene meets Henry by chance, and his sister Aggie, the embodiment of everything Imogene wishes she could be. However, when Aggie goes missing unexpectedly, Imogene and Henry come across her journal, which sheds light on Aggie’s fragile state of mind in the months leading up to her disappearance. Imogene and Henry then embark on a perilous journey to find her, while beginning to uncover dark and frightening secrets hidden in the rugged outback, and also answers about what really happened to her mother on the day she disappeared. KAREN’S TOP WRITING TIP: Join a pro-active writers group who critique. Learn how to critique and Beta read to the highest possible standard. Swap your manuscript with other critiquers and Beta readers in exchange to receive valuable feedback and suggestions for improvements. 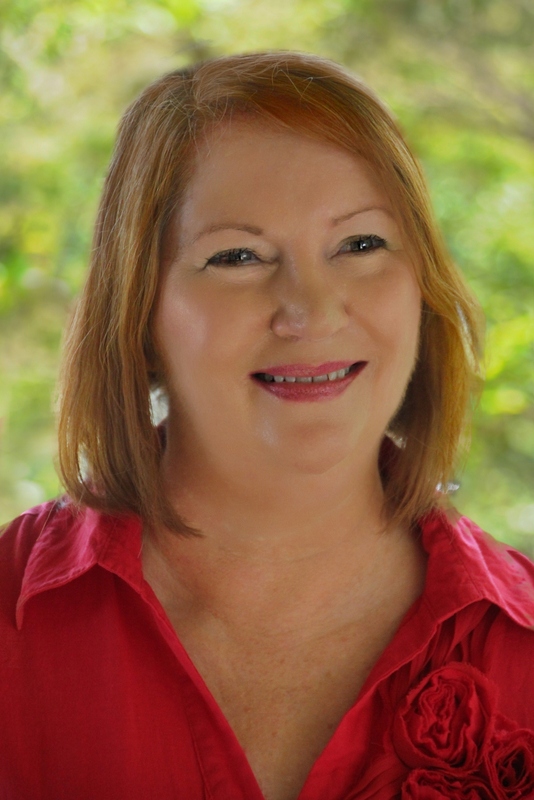 Karen Tyrrell is a Brisbane award-winning author of six empowering books, an experienced teacher, a speaker and pantomime performer. Karen’s books are entertaining page turners showing how to live strong, be resilient, and ways to cope with life stress. Her book titles are: ME & HER: A Memoir of Madness, ME & HIM: A Guide to Recovery, Bailey Beats the Blah, STOP the Bully, Harry Helps Grandpa Remember and Jo-Kin Battles the It (Super Space Kids #1). Karen has won a major mental health achievement award, a mentorship with the Society of Editors (Queensland) and three literary grants. Her lived experience as a bullied teacher and overcoming mental illness gives her a burning desire to help others. She successfully shares bully prevention, coping skills, and wellness and recovery tips with the community. Karen has been a speaker at the CYA Conference, Queensland Writers Centre, Gold Coast Writers Festival, Toowoomba Writers Festival, schools, libraries and mental health organisations. Karen has appeared on Seven News and ABC radio. Why do you write? When I was a teacher, I was bullied and stalked by parents at my school to breaking point. I became mentally ill. I wrote two empowering memoirs on my recovery, ME & HER: A Memoir of Madness and Me & HIM: A Guide to Recovery. My mission was to raise awareness on the effects of bullying and to give hope via my recovery. Next I focused on writing to empower children to live strong. I wrote books with compelling characters to connect with the reader on an emotional level. STOP the Bully (bully prevention), Bailey Beats the Blah (coping skills for anxiety) and Harry Helps Grandpa Remember (memory skills), an endearing story about Harry who never gave up on helping his grandpa remember. 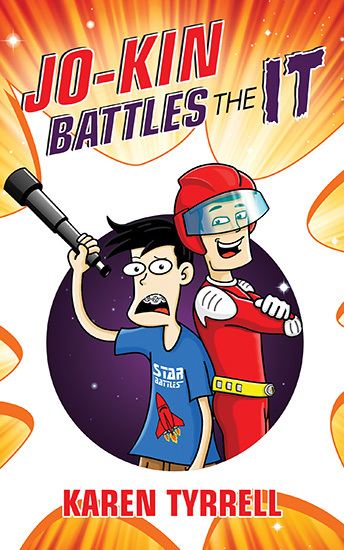 I wrote Jo-Kin Battles the It as a humorous space adventure with strong messages of resilience, brainpower and teamwork. What would you be doing if you weren’t a writer? I would be crafting a creative business which I have total control over. In a previous life, I was a primary school teacher specialising in Gifted & Talented kids. I loved teaching creative writing, drama and reading. What was your toughest obstacle to becoming published? Self-belief that my books and stories were good enough to be published. And then learning how to take pro-active steps to make sure that happens. What’s the BEST aspect of your writing life? Going out into schools and teaching kids creative writing and how to tap into their imaginations. I also love talking to school kids about bully prevention and how to live strong. —the worst? I try not to focus on the negatives but instead on moving forward. I’ve learned from my mistakes, and now I’m determined to find ways to succeed. I ask myself: how can I do that better? What would you do differently if you were starting out now as a writer? I’m a resilience author. For me, it’s all about bouncing back and being mentally strong in a very tough business. I love to re-invent myself to find new pathways to connect with my reader. What do you wish you’d been told before you set out to become an author? Writing is hard work. Full stop. Only those writers who are determined, focused and put 200 per cent into their writing, their speaking presentations and workshops will succeed in the long term. What’s the best advice you were ever given? Write what you’re passionate about. Believe in yourself and your writing and let that energy and light shine through in your writing. Jo-Kin (aka Josh Atkins) and the Super Space Kids battle the It to save captain Astra and the galaxy. Joker Josh Atkins aka Jo-Kin wins the Super Space Kid contest alongside nerdy Sam Jones aka Sam-Wich. Their first Super Space Kid mission is to save the galaxy from a deadly alien called IT. When the IT kidnaps Captain Astra, it’s a race against time. Can Josh save Captain Astra and the galaxy … before it’s too late? Blast off with Jo-Kin in this hilarious space adventure. Jo-Kin Battles the It is available here.